My first trip to Round Hill Head (now known as 1770) was in August 1965. My father had recently purchased a house from the Streeter Family at 618 Captain Cook Drive, and I was eager to visit our new fishing shack. It was about a 10 hour trip from Toowoomba in those days, with about 200 miles of gravel road and 5 miles of sand track from Agnes to 1770. There was no shops in those days, nor was there much else, the food, petrol, kero for the fridge, gas for the lights and of course the Beer, all had to be transported with us. (Petrol was finally available from Tom Jefferies snr in about 1968, and the Shop opened at 1770 in about 1972, but power wasn’t available until 1987), so the car was well packed with all the gear, including my father, my brother, John Truman and myself. Our main objective was to go fishing. 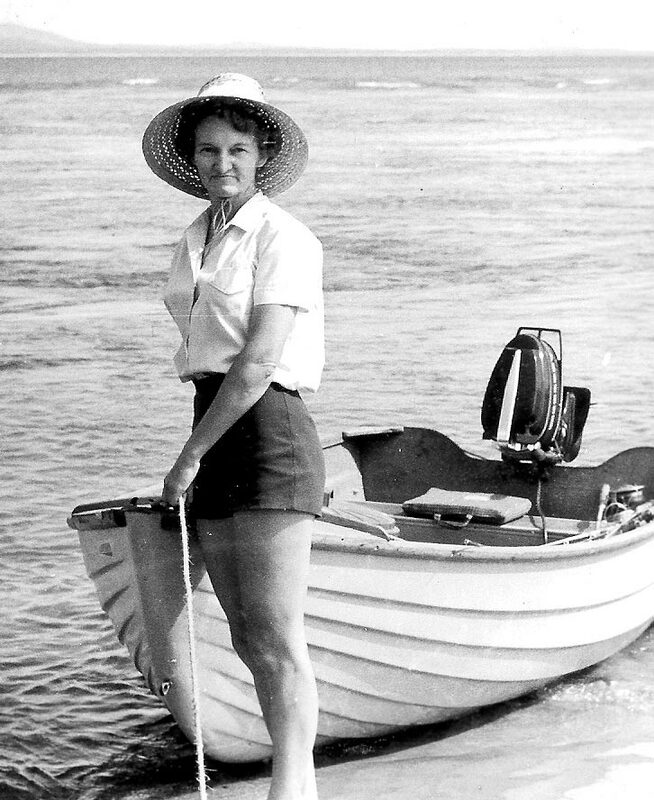 We had a 12ft Fiberglass boat with a 9.8hp on it – not quite big enough to go to Bustard Head, but great fro up the creek and around the Headland. 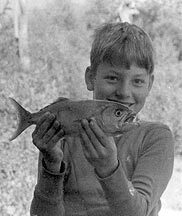 Fish were abundant in those days, including schools of Taylor in the mouth of the Creek. We had great fun catching these, trolling strips of white rag on a 3 gang hook. Unfortunately they were netted by a trawler the following year and have never been seen in those numbers since. 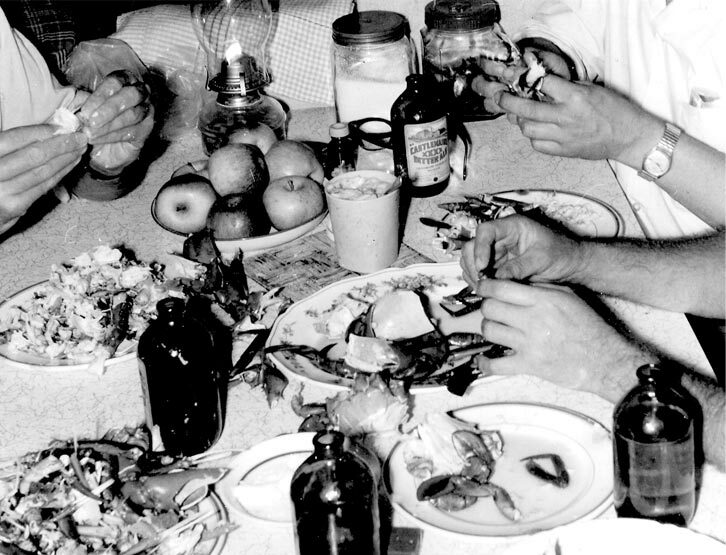 Fish was on the menu every night, and crabs for lunch most days. You can still get a good feed of fish today. We’re written a second part to this blog article – you can find it here.